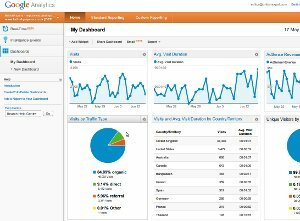 Google Analytics is Google’s free website traffic analysis application. It was launched in the mid-2000s on the basis of an earlier analytics service developed by Urchin Software, which Google acquired in April 2005. It’s been available to the general public since August 2006. It comes with a whole suite of graphical tools to show you where visits originate (geographically and on the Web), which are your site’s most valuable traffic sources, what the people linking to you are saying about your site, what pages your visitors are visiting, how your site’s doing on the social networks, and much more. Within the last few months they’ve even added a real-time function so that you can watch the figures fluctuating as people enter and leave your site if you want! By setting up “goals” you can also track whether your visitors are performing particular actions you’d like them to perform – and how they progress through your site before performing those actions. This is of obvious business benefit if your website’s there to sell stuff to people. GA is free and generally available, and partly because it can also integrate with Google’s Webmaster Tools and AdSense. people who wish to make verifiable claims about their site’s traffic – whether it’s to persuade a prospective advertiser to buy space, to attract a possible business partner, or to sell the site altogether – commonly refer to their GA stats. (It’s possible to grant third-party access to some or all of the GA stats for your site, on a temporary or permanent basis.) As a result, it’s become something of a de facto industry-standard analytics package. If you’d like to gain more insights into how your site’s being used, and how your efforts to improve and promote your site are affecting your traffic, then you could do a lot worse than install Google Analytics.